On almost every business website you visit, you'll see a blog. Some businesses like to share their company news in their blog whilst others use it to help potential customers with common problems. One of the biggest benefits of using a blog means you have an effective way of attracting traffic to your website. What's great about this traffic is that most of the people will be your ideal customer. 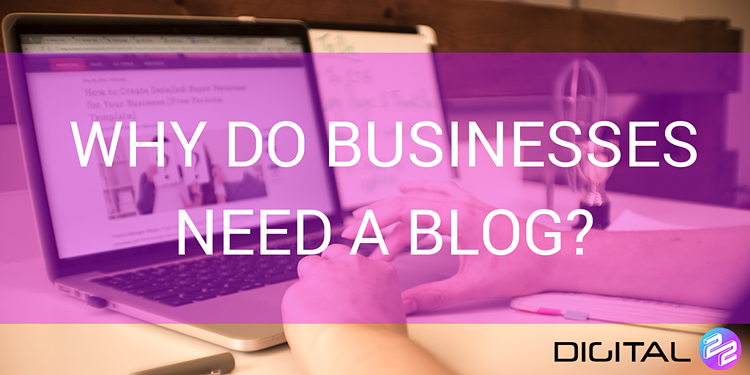 So, why else do businesses need a blog? Here are the reasons why you should be blogging. 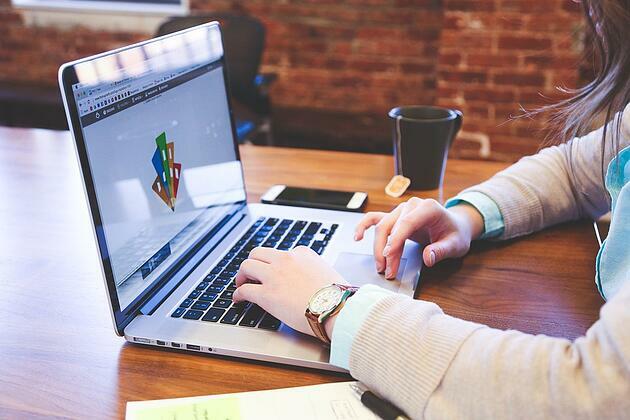 Just like the pages on your website, every blog post you write has the potential of bringing traffic to your website. Arguably one of the first reasons why businesses used blogging was to attract new visitors to their site. Blogs can be shared on social media, they can be found on search engines and be used to attract visitors in paid ads. Well-written and helpful blogs have the potential of attracting a healthy amount of organic traffic. Not only does your blog drive traffic to your website, it also drives relevant traffic. This is a traffic of people who are interested in your services. Yes, it feels great to see your website is bringing 500 people a month but if none of those people care about the services you provide, you might as well have 0 visitors. Your blog will help to bring a traffic of people who are interested in the content you provide. Want to start writing blogs now? To create an effective blog, you need to understand your ideal customer. By understanding their interests and pain points, you can write content that engages with them. We are offering a free inbound starter pack, that includes a buyer persona template you can use to learn more about your ideal customer. How do I layout my blog? A good blog has the potential to convert new visitors into leads. If you're successfully attracting relevant traffic to your website, you cannot sit back and hope they will be tempted enough to become a customer. In reality, only a tiny percentage of visitors will convert immediately into customers after reading your blog. And when I say tiny, I mean only about 1%. However your blog can turn visitors into contacts - turning them into valuable leads - which can mean later down the sales funnel they'll become customers. You can convert visitors into leads on your blog by providing helpful downloadable content (like a free demo, premium help guides, educational podcasts, etc). If you're providing relevant and valuable content for free, people will be encouraged to give their contact information in exchange for it (turning them from a visitor into a contact). Businesses who have successful blogs, write blog posts that provide advice and help readers solve their problems. This point is an add-on from the previous. If your blogs offer helpful content about your industry and fixes problems your ideal customer has. These readers will be more accepting of any marketing emails you send them in the future - making it easier to convert them into customers. Blogs can be used to build positive relationships with future customers. Most of the people who land on your blog will not know who you are. However, you can use your blog to inform visitors about who you are, what your business does, what are your values, etc. Blogging gives you the chance to talk about your company and inform potential customers. As an online business, you have a lot of competition from other businesses and many people go through a journey before they reach the checkout. Nowadays, people prefer to window shop. They are willing to do their research and learn more about a company before they decide to buy. Having a professional blog educates people about your business and it's an effective tool in nurturing potential buyers. Once you start blogging, your content will remain on the web. It's not like an advert poster that needs to be replaced every few months. Your blogs will remain online and continue to drive long term opportunities. If you decide to get your in-house team to blog or you're looking for an inbound marketing agency to do your blogging as part of your marketing strategy, you're making an investment into the future of your business' marketing.